Playgrounds.net Blog: How to Create a Backyard playground? It’s great that you have decided to convert your backyard into playground. Nothing can excite kids more than having a private playground full of wonderful play sets in their own backyard. This is certainly a great move as you can also be assured about the safety of kids when they are enjoying in the backyard. Creating backyard playground is not a daunting task; you just need to plan your move wisely. Most parents think that their small backyard would not do. But no matter how small is your yard, you can still create a nice play area for kids. Surf the Internet and look for different playground equipment depending upon the size of your backyard. Instead of placing one big play house, you can choose to have different play sets that fit in the backyard. Before buying, you should consider the quality of backyard playground equipment. 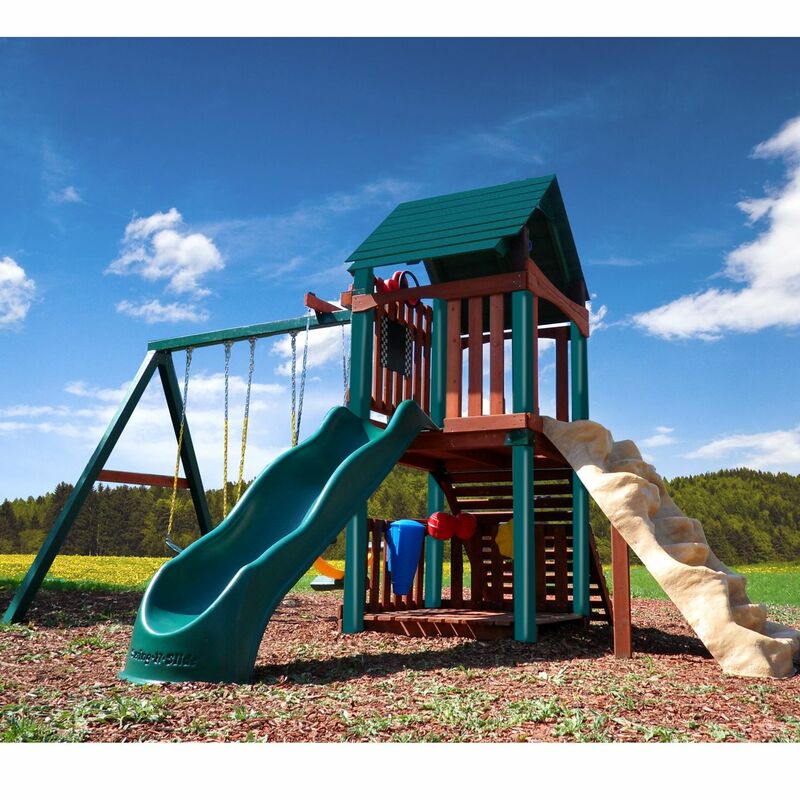 Purchase the play sets, which are manufactured as per the guidelines laid by American Society of Testing and Materials (ASTM). Also, ensure its manufacturer has International Play Equipment Manufacturers Association (IPEMA) certification. After quality of equipment comes the safety of your kids. Check that the playground equipment you are opting for meets the National Safety Standards including CPSC guidelines. Manufacturers offer the play sets for toddlers to school goers. You can select the play sets for your backyard as per the age of your kids. For instance, if you have 10-12 years old kids, it would be great to place Greenwich Play Set, Congo Greenscape Play Set, Congo Free Standing Swing Set and the like in the backyard.